Dr. Lauren, what is tooth remineralization? Great question! To answer what “remineralization” is, let me give you a crash course on tooth “demineralization” and how cavities develop. By starting with demineralization, it should help explain why remineralization is important. The bacteria in plaque consume sugar and produce acid. The acid dissolves and breakdowns the outer layer of enamel (the hydroxyapatite crystals). During the dissolution of the enamel, minerals such as calcium and phosphate are removed from the tooth structure. The removal of the minerals from the tooth structure is known as demineralization. Demineralization is evident as “frosty white” areas on teeth. Areas of demineralization are also known as incipient/non-cavitated carious lesions. If these frosty white areas continue to be exposed to plaque acid frequently enough and long enough, the tooth structure continues to dissolve until the surface breaks and cavities develop. If caught soon enough, frosty white areas/incipient lesions can be stopped from progressing into cavities and can be reversed. This is through a process known as remineralization. During the demineralization process, the minerals removed from the tooth structure are still present in the oral environment in the saliva. If the acid attack is short lived, the minerals can be deposited back into the tooth structure through remineralization. However, if the acid attacks are long lived and happen frequently enough, the minerals are not re-deposited back into the tooth structure and the scale is tipped in the direction of cavity formation. 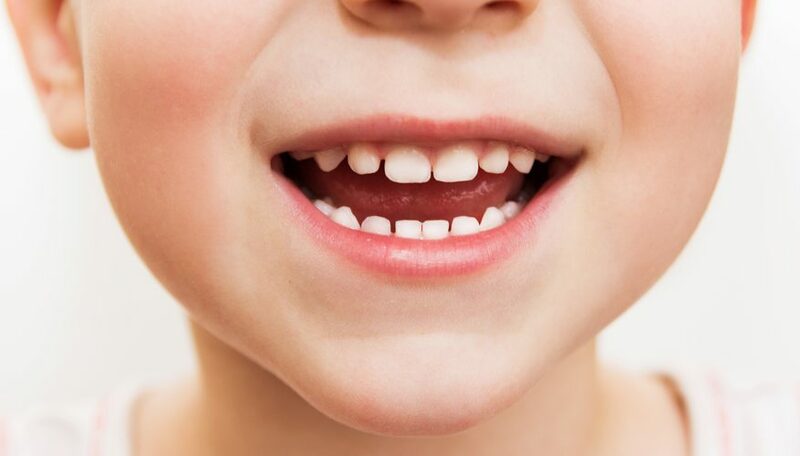 Saliva is a great protective factor against cavities because it contains buffering agents to help fight the acid, antimicrobial agents, and minerals such as calcium and phosphate. Sometimes saliva by itself though cannot prevent cavities or prevent the progression of incipient lesions. In these cases, your dentist might prescribe you or your child certain products to help promote remineralization. A family of very well researched products that aid in remineralization are the GC America MI Paste products. MI Paste contains Recaldent (CPP-ACP) which consist of casein phosphopeptide (CPP) and amorphous calcium phosphate (ACP). CPP is a milk protein that aids in stabilizing the calcium and phosphate to make them more bioavailable so that they can be more easily deposited into the tooth structure. Some MI Paste products (MI Paste Plus and MI Paste One) also contain fluoride. Fluoride is important in the remineralization process because it helps rebuild the enamel crystals faster and also helps make the enamel stronger. When fluoride is available in the saliva during the remineralization process, the hydroxyl groups (OH-) in the hydroxyapatite crystals of enamel are replaced with fluoride ions (F-) to form fluorapatite. Fluorapatite is less soluble than hydroxyapatite and more resistant to acid attacks. Our mouths are constantly undergoing the natural dynamic process of demineralization and remineralization. It is important to remember that non-cavitated carious lesions can be remineralized naturally in many cases by following healthy oral hygiene and dietary habits. However, when the balance of demineralization and remineralization is not in our favor due to poor quality saliva, certain medications, the presence of oral appliances, health conditions associated with low saliva flow, poor dietary habits, poor oral hygiene habits, etc, the remineralization process can be enhanced with certain products such as MI Paste. One must also remember that once carious lesions cavitate, the concept of remineralization is lost and the cavities should be restored to prevent pain and infection and to promote restoration of function and esthetics. In other words, once the carious lesion turns into hole and the tooth structure has broken down, remineralization cannot occur to reverse the cavity. Remineralizing cavities is a wonderful, helpful process in many situations and cases; however, the best mechanism to fight against cavities (when possible) is prevention. It is much easier to prevent a disease than it is to reverse/treat a disease.